Outdoor foam is a miracle for patio furniture. Once upon a time, thick, canvas covers had to be applied to all outdoor furniture to try and ward off the rain. These covers were usually waterproofed, but tended to do a poor job of keeping water out. Those covers can still be found today, but they are far less common thanks to a new type of foam commonly found in patio furniture, boat cushions and airplane seats. Outdoor furniture cushions now use something called “dry fast foam”, which (as the name implies) doesn’t retain moisture and dries faster than normal foam. This is thanks to large, o pen cells within the foam sheets that allow water to pass through. Because the foam dries faster, bacteria can’t grow as easily. No more moldy cushions if you left them out during a winter storm. Your outdoor foam replacement isn’t rated for direct exposure to the sun, but the cover can protect it. The foam itself won’t harden or get any real sun damage if the cloth or canvas layer blocks the sun’s rays. You may have to replace the cover later as the colors fade, or you could simply flip them over in a pinch. 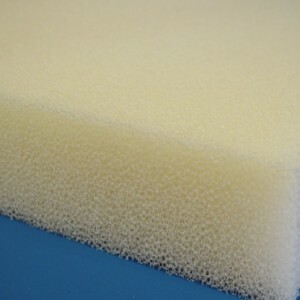 As a bonus, outdoor foam happens to be useful to those who suffer health problems and have a hard time sleeping. The antimicrobial properties of the bedding prevent small particles from entering the lungs, which helps improve your ability to breathe. Bio: The Foam Factory specializes in custom-cut foam pieces for commercial and residential use. If you’re planning a trip to another country, you’ll need substantial savings to cover the time you’ll spend there. You’ll need to cover your necessities while you’re away from home, like food and board, but you’ll also need to cover expenses for the time you’re gone too. Read on for money-saving tips you can use to prep a budget worthy of your next trip. The importance of an interest savings account cannot be overstated. If you’re banking without an interest savings account, you’re leaving money on the table. As of this writing, most interest-bearing accounts are around 1%, but it’s better than nothing or fees to hold money if you’re below a certain amount. We’ve all heard of the Starbucks problem, but you don’t have to eliminate it entirely. If you brewed your own coffee at home and only bought lunch at work, let’s say, you’d already save a few hundred dollars each year you could apply to your travel budget. If you have old furniture, clothing or electronics lying around, post the items on Craigslist or eBay to sell. You can easily get a few hundred in quick cash depending on what you’d be willing to part with. Not your full time job, look for opportunities online. Can you write, design graphics or provide some form of consulting? You might be able to pick up gigs on Fiverr or Craigslist if you have the right resume. The extra bump in pay means more you can see or do, so it’s worth it to try. About the Author: Samuel Phineas Upham is an investor at a family office/ hedgefund, where he focuses on special situation illiquid investing. Before this position, Phin Upham was working at Morgan Stanley in the Media and Telecom group. You may contact Phin on his Samuel Phineas Upham website or LinkedIn. Watch this video about Edible Wild Plants. It shows what to eat on the beach, in hedges and the woods.Filmed in South Wales, UK. Sign passport, and fill in the emergency information: Make sure you have a signed, valid passport, and a visa, if required, and fill in the emergency information page of your passport.